Bledisloe Test match for CASH: Fails ! Steve Tew is paid over $500,000 and he has yet to learn that selling the same thing over and over again is a failed strategy. Nobody wants to see NZ vs Aus three or four times a year, I mean who cares (Well they dont in Honk kong, so far ticket sale are very poor). This massive dilution of a great rivalry is criminal, and Mr Tew should be sacked. If you have funding troubles CUT THE WAGE BILL, maybe cut your wages to $300,000 …see if you can survive on that ! Comments Off on Bledisloe Test match for CASH: Fails ! Sonny Bill will be a DUD ! Source : Sonny Bill Gets rugby contract offer. ref: Sonny Bill doesn’t have rugby mojo. 1) If he is gonna be in the backs, can he catch, just ask Joe Rokocoko how important that skill is ? 2) Big game experience: Sure he looks great when he’s playing the mino’s of a competition, under pressure in a Bledisloe cup, that is a whole different story. 3) We have Kahui and Conrad Smith, so why spend money on a guy who will sit on the reserve bench. 4) He breaks down: He has not eaten enough WeetBix, he breaks easy, and the South African boys will make sure of that ! 5) He is just not that smart, we need leaders and rugby smarts not just brawn (this is G Henry weakness, brawn or body, he normally picks brawn). 6) Consider the path Brad Thorn took, he is the only league play who has ever proven he was worth every cent to switch codes at a late stage in a players career. Henry is desperate, so he his motivating NZRU cheque book once again. Hmm I wonder will selected players be rested from the 2011 Super 15 ??? Comments Off on Sonny Bill will be a DUD ! ..”A rugby coach at an exclusive Auckland high school has been suspended for poaching a player from a poorer South Auckland school. The suspension is part of a move by sport bosses to act on long-running concerns about the practice among secondary schools. St Kentigern College 1st XV coach Tai Lavea – brother of former Auckland Blues star Tasesa Lavea – has been banned from any match day involvement with the team, after being found guilty of breaching tough recruitment bylaws to poach a player from Papatoetoe’s Aorere College.”.. COMMENTS: Graham Henry won many a secondary rugby school competition, and being a headmaster managed to do the exact same thing as the above. The rules weren’t around then, or if they were, they were not enforced. I remember seeing Henry sides play, and I always thought the beards on the players just suggest they were a little older than the rest of us, as Henry allowed critical players to repeat a senior year just until the rugby season end. Don’t believe me, just examine Henry’s recruitment for the Welsh rugby side while he was in charge ( ak Granny gate). Henry win at ‘any cost’ most likely cost us the rugby world cup in 2007. Players pulled from Super rugby, thus being under cooked for RWC. Refusing to stand back and let the players lead the game on the field, and insisting on radio link ups during the game. Like I said before the team that wins the RWC can self steer ! This blog is against playing night rugby in JUNE and JULY, especially so in the South Island. Why the conditions are 80% guaranteed to ruin the game. I am not advocating changing games times from 7.30pm to 2.30pm, but I am advocating 5.30pm starts, or even 6.00pm starts. 1) The game ends around 7.00pm, plenty of time for social and after dinner needs (bars restaurants etc). Better time for families and fans. 2) The night temperature has yet to drop to it’s coldest levels. Thus less risk of dew and mist affecting conditions. 3) Europe and UK can get out of bed at 5.30am or so to watch the game, this not unreasonable. After all 75% of the work force in Europe/UK do this every day to catch the train to work. Now hows the above detrimental to revenue ? Zero in my book. CEO Mr Tew should wake up and make a common sense decision to fix this, however if he can make $1 more starting at 7.30pm, that’s where he will make his decision. Do I need to remind the rugby public about the $2,000,000 spent on a high performance department that achieved little and was canned. Cut the costs to meet the budget. Idea1: Lower your salary from $550k (approx) to $250k..
Idea2: Reduce the support staff and coaches of the All Blacks. Idea3: Reduce 30% of the staff at the NZRU. NZRU CEO Mr Steve ‘Teflon’ Tew. The face of taking one up the rear end. Thanks for effort, time for NEW BLOOD ! – 3 Failed attempts to restructure the NPC. – Allowed Dan Cater sabbatical, that resulted in an injury of six months. – Created ‘rugby for cash’ in Honk Kong, Japan, etc. – Having ELV statistics forever and still getting it wrong. 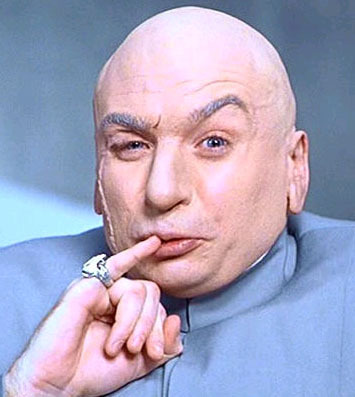 – Created a $2 mil p.a higher performance department that did, WHAT ! Sure we have the RWC 2011, that’s nice! Mr Tew has been a part of the NZRU club for too long, so I believe its time for new blood ! Or maybe the $500,000 salary is way too nice to let go ! Not to mention the rugby donuts from around the world. UPDATE: Tew has a sense of humor..
NZRU: Its a business, who cares about the game! New Zealand Rugby Union management have come under heavy fire from Counties Manukau chairman Matthew Newman. The NZRU board will today debate whether to confirm a ten-team Air New Zealand Cup competition next year, despite legal challenges being issued by Tasman and Counties Manukau. Newman says the NZRU top brass have no idea what they are doing to the game. “If we look at the individuals running New Zealand rugby from a management point of view, they come from that professional piece of the game and what we have seen over this last several months is a complete lack of understanding and disconnection from rugby people”. Newman says the ten-team situation has been ideologically driven as it is something that would clearly have the support of the “favoured” four or five teams. Both Manawatu and Northland have undertaken legal advice but have confirmed they will wait until the NZRU board makes a decision before considering their next move. COMMENTS: NZRU under Tew its profit before the people, and its this balance which is been tested today at the NZRU board. 10 or 14 teams in the NPC (whatever). The 14 team structure was much loved this year. I suggest the cut the costs of players to make it work. Comments Off on NZRU: Its a business, who cares about the game! Rugby personality Murray Mexted has claimed he was suspended from the Sky commentary team after criticising plans to cull four teams from the Air New Zealand Cup. Mexted made the revelation while speaking at a breakfast to Wairarapa businesspeople and his comments were picked up by the Wairarapa Times-Age. The former All Black No 8 said that after criticising the New Zealand Rugby Union on air, he received a letter from Sky’s director of sport, Kevin Cameron, pointing out that the NZRU was a commercial partner of the network and that he should “refrain from being critical”. Consider this: NZRU was a huge support of the now failed ELVs, and as there partner is SKYTV, all the paid TV commentators were required to tow the line and support the ELVs. SKYTV is the spin machine of the NZRU. If the NZRU are not for it, and you are a free thinking TV commentator you had better change your attitude otherwise all those great paid rugby trips will end rather quickly. SKYTV commentators: Fox, Nesbit, Smith, Johnstone, Robinson are all cheerleaders for the NZRU. If they personally dont like something and its against the NZRU, you wont here it. The are no true opinions when there are dollars behind it. ANZC: This is good ! Southland on top of the table ! What’s better for local rugby, than your provincial team leading the nation in the game for NZders ! A 14 team competition allows the right level of dilution of BEST players around the country so all have a chance to do well. The Super 14 unions dont hog all the best talent ! Sure there a behind the scenes issues with money and provincial CEO stupidity with a 14 team structure, but if the paying public like it, lets keep the ANZC (old NPC) the way it is. Why not ! Comments Off on ANZC: This is good ! Super Rugby Needs Destory NPC needs. The fans, teams and media love the new NPC (or ANZC) format. After years of the old NPC format falling way, its back with a vengeance. …”NZRU rugby manager Neil Sorensen said the biggest problem with the current 14 team format was fitting it into the shortened window. He said the expanded Super competition has taken up the space, and a 10 team format was the only way they can achieve everything the non-Super 14 unions wanted.”.. COMMENTS:You cant have a 14 team NPC format, with an expanded super 14. Well what happens when supper 14 is super 18. Domestic rugby has died, get used to it. Dam the accountants running the SANZAR unions. Remember the ARU doesnt care about our local NPC, the bigger super rugby is the better it is for the ARU. Expect more death nails into the NPC in the future. Comments Off on Super Rugby Needs Destory NPC needs. 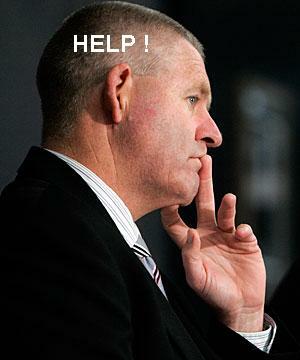 NZRU: Hidden MasterMind Exposed ! This is the master mind behind the NZRU board. Exposed ! So you cant blame Tew he is only a puppet. NZRU on the road to ruin ! Lauri Mains sees it ! He was correct about the ELVs, and ABs tactics last year, I think Lauri correct on this coaching panel forecast ! Well I hope not, but the tea leaves are not good. 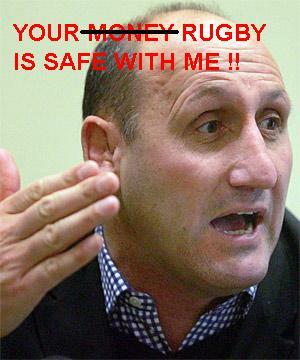 Comments Off on NZRU: Hidden MasterMind Exposed ! For 6 years the players having been hearing the same record. For the same 6 years the ABs back line has done little to impress. Smith at least should have gone ! 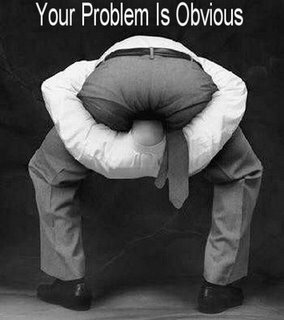 The NZRU board and Tew dont have the mental muscle to understand why a change was need. There are strong odds the ABs wont win the RWC in 2011 (or get to the final), and that will mean this coaching team has the good odds of being two time losers at RWCs. A shake up of the coaching team would bring new blood into the thinking behind the ABs, chance missed ! 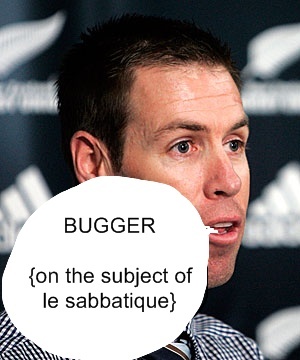 1) R McCaw wont be a RWC due to injury (concussion). 2) Not having an understudy to Dan Carter will be ABs downfall. 3) Tight five skills lost in the ELVs years could cost ABs dearly. But I wish them the best of luck. Tew on Campbell TV3: Let them eat cake ! Reference: Mr Tew (CEO NZRU) public appearance on the Campbell Live show 25-6-2009. 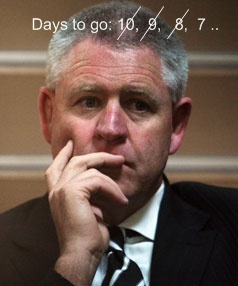 Mr Tew was wondering why the love affair with rugby is wanning by the NZ public. 1) The same games over and over every year. 3x SAR, 3x ARU. 5) Wearing out players that in the past that would have lasted 10 years, that is now becoming 5 years. 7) Ignoring the Robbie Deans CV to choose the loosers of RWC 2007. How can this man still be there after the next world cup, there should be a healthy rotation of CEOs at the NZRU every 8 years ( or maybe 4 years). Revolution is in the air ! Comments Off on Tew on Campbell TV3: Let them eat cake ! This blog is not alone in its opinion. A leaderless, rudderless and totally inept organisation. For once I am not talking about the New Zealand Rugby Union (NZRU) but about Sanzar, or at least the Australian and New Zealand components of it. Sanzar is the umbrella organisation of the Super 14 and Tri-Nations. Super 14 is in dire trouble. In their panic to try to compete with the other three football codes in Australia the ELVs were introduced to try to provide nonstop action as a way of combating the popularity of Aussie rules, league and football. They have been an abject failure. Most will be ditched by the International Rugby Board in May. As predicted in a previous column, the northern hemisphere dumped most of the ELVs. While the Super 14 implodes what are the views of the NZRU. Who knows? Typically we have not heard from their all but invisible CEO Steve Tew. Just when long-suffering fans want to hear from their governing body, what do we get? Just another example of the NZRU seemingly happy to toe the Australian line. There are times when I firmly believe that the ARU sees the NZRU as little more than a seventh state such is their ability to impact on the future of rugby in this country. COMMENTS: You see there are idiots running the NZRU, its not my imagination at all. Comments Off on This blog is not alone in its opinion. Mr Paul who wrote this article suggest that the rule requiring ex ABs to playing Super 14 to qualify for the Tri nations and ABs duties is outdated and should be scrapped. Mr Tew said the rule was devised to allow those players who decide to stay in NZ a fair right to get preference in selection over those players that chase better revenue rewards. If a player shows loyalty to NZ rugby then why shouldn’t they get preference, after all ex ABS are ‘X’ for a reason, either there form has gone, or to old, or slow. Having a ‘supposed’ fancy CV from northern rugby scene or other codes is not as good as ‘one on one’ matchs ups through the Super 14 round robin competitions with other ABs selection contenders. Mr Tew dont change the rules, no exemptions, ever ! Luke is a player that shined when he was outside Dan Carter, on his own he will prove to be average. To prove me wrong, he should play Super 14 so he can earn his place, and be selected on merit. Henry does what ever he can, break any rule, side line any other interest, to get his own way. NZRU rules, are rules, have a back bone ! The ARU has no, zip, zero domestic competition that can get a TV audience. Therefore it must create one, that will compete with rugby league for advertising revenues and sponsorship, and all round media time. NZRU and SFRU don’t have this problem, NZRU problem is however a small market, and SFRU has an issue with time zone. So who needs who. SFRU don’t anyone, NZRU needs ARU for commercial reasons, ARU needs NZRU desperately to make up decent teams within a solid competition. So should we say bye bye to SFRU, and have a nice season of professional rugby with a mix of ARU and NZRU teams. There is a lot of upside to that thought. But remember this, John O’Neill does not care about local NZRU competitions, and you may say nor does the NZRU as the money just isn’t in the local market. Keep an eye of future developmemnts, I shall !! Comments Off on ARU ONeill: I want this, I want that, I want. NZRU Manager:… maybe we should have given ‘le sabbatique’ a miss then, is that why the Aussie didn’t like the idea, darn them Aussie another better management decision by the green and gold. ‘Le Sabbatique’ was good for Dan Carter bank account, and will prove not so good for NZRU bank account, as one wonders if Dans missing presence from All Black ranks costs the NZRU in gate taking and general interest by the public…who are already pissed by ABs playing overseas in Denver and Hong Kong. Well its all go for another year blogging on Rugby and lets hope the ELV laws decided upon arent another stuff up by the administrators. NOTE: The NZDUSD is now at 0.5075 (today) and will fall further, and as the payments from Adidas are in $USD thats very nice for the NZRU, so all you rugby volunteers out there dont feel sorry for the NZRU when they cry out for funds by playing games in Denver for more monies. They should have a very nice year. I wonder if ticket prices are more reasonable through the super 14 this year, lets see !! Cotton Wool Policy – Status Active. Policy Execution 2006 – Selected All Blacks are not to play in NPC. Policy Execution 2007 – Selected All Blacks are not to play in Super 14, as well the NPC. Policy Execution 2008 – Selected All Blacks are not to play in NPC (Dan Carter NPC final). Henry and his mob, is soooo protective of their turf that his law goes, or maybe the NZRU have signed a contract that Carter must play in the Hong Kong game other wise NZRU revenue is reduced. Remember the Beckham deal when he played in Wellington, David had to play 57 minutes or more other wise fees would be adjusted. I wonder does Dan Carter have a Beckham clause ! Is he bigger than the game in NZ, or maybe the money thinks so ! UPDATE1:The NZRU is forecasting $3M profit, there is no way they can allow Dan Carter not to be there, no way they can risk his injury in the NPC final. They also know that the next 12 months will be hard, so is this prudent, or are the NZRU board just cowards. I am sure Dan would love to play for his province. ..”The financial squeeze may be on, but the New Zealand Rugby Union is still forecasting a $3 million profit for the year, largely thanks to the big-money generating games the All Blacks are soon to play in Hong Kong and at Twickenham”.. Comments Off on Cotton Wool Policy – Status Active. …for selecting offshore players for the ALL BLACKS. Eligibility for the All Blacks should continue to be restricted to players based in New Zealand but the situation may change in the future, coach Graham Henry said. “There may be (a change) in the future because I know that Sanzar are looking to widen Super 14. When that occurs … then that may be a factor but at the moment no, because I think it decreases the value of New Zealand rugby,” Henry said. My Comments: There is no bloody way I will waste my time watching the Auckland Blues with Aussies in the team, while our Auckland boys are playing for Western Force cause their getting a million bucks. What do rugby administrators understand about tribe versus tribe and not wallet versus wallet. The ELVs have alienated the mature rugby fan with the ‘force back style’ of the game that it produces and add to this the taking the game away from the traditional fan base (playing in Hong Kong, Denver, Tokyo, etc, god knows where else. ), and to let the star players importance be worth more than the game is more stupidity. Capitalism revenue models do not work in professional sport, socialism does (all get equal revenue). Example, UK soccer clubs are in debt upto 3 billion pounds, see how its work there, yeah real good, just wait for the world wide recession to hit and UK soccer clubs will be bankrupt, I guess they will want a government bailout just like the UK banks, thats it Nationalise soccer clubs, each council could own one (ha) ! Henry, Tew and Hobbs are thinking for the now, and not the long term consequences, dam fools ! Comments Off on The NZRU spin machine is starting to set you up..
My Comments: This is the same guy who founded Strategic Finance, and didn’t he say the same thing about that company, “We are sound”…then they went BUST ! You know something is in crisis when the Chairman says the opposite, have you seen the games live crowd, nope, cause there are none ! Jock Hobbs is in the same class of forecaster as the economists who said housing was heading for a soft landing, yeah right ! (Tui). Rugby over the next immediate years will be serverly punished economically, just like everything else from the current credit crunch (the worst financial crisis since the 1930s). Rugby players may learn a new term like ‘pay cut’ ! We need the money !!! Australian rugby union officials are reportedly planning to stage a Bledisloe Cup clash in England next year. My Comments: [ Tew / ONeill ] Sorry Aussie and Kiwi fans, we need to ‘whore’ out the national rugby side for foreign currency because we are broke. We were a little naughty with the financial management over the last couple of years, our new rugby fan must be holding Yen, Pounds and US dollars. Dear local kiwi and Aussie fans we will sell this to you as the most recent concept of the new world of professional rugby, and we wont at any point time say ‘sorry we stuffed up with the financial management of the game’. New Zealand rugby officials dismissed suggestions the All Blacks might play a Bledisloe Cup match in London in the near future. Australian rugby boss and motormouth John O’Neill mooted the idea this week. Tew told Gifford: “As I think people know, we have had an idea we might play a test in the USA in Denver and there is the possibility we might play on the east coast of America. 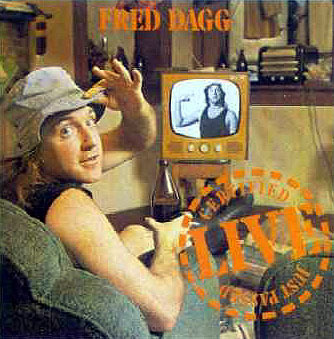 Fred, Please run the NZRU for us, thanks ! Ummm, let’s have a look at some recent cases of its stupidity. There was the appointment of the clearly ill-qualified John Mitchell in 2001. The youngest coach in All Black history set about getting rid of some of the best players in All Black history, namely Jeff Wilson and Christian Cullen, then proceeded to pick Brad Thorn, who promptly turned his back on the All Black jersey. Don’t even get me started on the muddled riddle that was Mitch-speak! Messrs Murray McCaw and David Rutherford lost us the co-hosting rights to the 2003 Rugby World Cup and then followed a relative period of sanity when Mitchell was dumped in favour of Graham Henry (who should have got the job in 1999 — rather than the accident-prone Wayne Smith — following John Hart’s ugly demise). The good ship Henry then sailed through calm waters in 2004-06 before becoming becalmed in 2007 and sinking without trace in Cardiff. And let’s not even go there — when it comes to the Robbie Deans decision. There was a welcome break in the bungling when jocular Jock Hobbs managed to score the 2011 World Cup. However, normal transmission was resumed when the NZRU decided to extend the national provincial championship to 12 teams, got 14 applicants, couldn’t make the hard call and finished with a free-for-all. Then in its infinite wisdom the NZRU decided this year, mid-competition, to go back to the 12-team contest it should have had in the first place. The coup de grace was surely telling Northland and Tasman of their probable fate, only a few games into their campaigns. Talk about a kick in the guts! Here’s hoping that great rugby nursery, Northland, survives, while the delicious irony of Tasman winning the Ranfurly Shield, albeit an unlikely outcome, is mouth-wateringly tantalising to contemplate. My Comments: There was also the financial disasters, spending $8m on a “high performance development team” , also the $4m dollar loss in 2007 ( before Forex adjustments). The NZRU runs it self like an expensive bunch of lawyers, there is way too many admin types in the NZRU. Never, ever make a lawyer CEO ever again ! 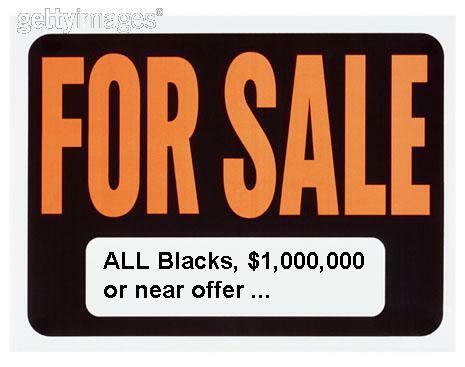 For Sale : All Blacks play anyone, anywhere, anytime ! The New Zealand Rugby Union has confirmed it was “in dialogue” with the United States Rugby Union and “may” stage one of next year’s Bledisloe Cup matches against Australia in the US. Although the concept is in its genesis, the old Mile High Stadium site in Denver, Colorado, where the US Rugby headquarters is based, has been designated as the likely venue. The NZRU recently started a formal relationship with the US union as the US is a market it’s keen to tap into. NZRU chief executive Steve Tew said: “We’re looking at a number of possibilities [for next year’s Bledisloe Cup]. Denver is one of them. But as I said, we’re in the very early stages. …”test matches in the US could become a regular part of the landscape”.. This is a shameful trend. Maybe we should live within our means, reduce NZRU staff, cut salaries, and plan the business correctly. I wonder how many coaches out there would coach the ABs at half the pay the current Henry’s mobs is getting, plenty ! And why the need for 3 coaches and all the hangers on, Grizz managed 50 test match wins in a row by himself! The NZRU are spinning a web of bullsh*t to keep their happy well padded lifestyles going. If it wasn’t for a $4 million forex hedge in the 2007 financial year the NZRU would be in so much red ink, the ABs would have been selling cake and lemonade at the end of your street. Sure, we have the RWC in 2011, buts that’s a long time away, and a headline for the NZRU to hide behind, so don’t be fooled. The NZRU board and CEO (current and previous) have failed the NZ rugby public. Before rugby went professional, there was the call to replace the NZRU board with people who new business. Well that has failed, bring back those who know rugby first, business second, find those with a love of NZ rugby more so than idiots with there grand plans of stupidity. Comments Off on For Sale : All Blacks play anyone, anywhere, anytime ! NZRU – The need for new blood ! He has been there in the NZRU to long, and not during its successful periods either, it gets to a stage where his policies hinder NZ rugby growth, not help it. New brave thinking is required. Leadership in any organisation should be rotated after 4 years by mandate, Tew has been a senior manager in the NZRU for over 12 years (I believe), and that’s far too long. Time for new blood at the top. Comments Off on NZRU – The need for new blood ! Super 14, Air NZ Cup gone, replaced with.. There could be two side by side competitions. Trans – Tasman Cup : One professional window from March to October: 14-team home and away (Nine from New Zealand, five from Australia). Heineken Cup style tournament (to run alongside trans-Tasman trophy): Matches every four weeks with 24 teams in four pools of six made up of teams from New Zealand, Australia, South Africa, Japan, Pacific Islands and America. Travel to south Africa as frequently as it is with the Super 14 is proving too much for the current players, and I agree. The Heineken cup travel demands are not light either, but it looks less and with plenty of time between games so that bodes well for the competition. I guess eventually NZRU has to soak up commercial dollars by allowing Aussie into our local competition, a sponsor may very well like the ANZAC market better than just soley a pure NZ market. I guess sponsors like Adidas would see the TV coverage more rewarding over 30 million people, more so than just 4 million. I think players would like this competition better. Less travel stress. I would hope that players are still contracted to the NZRU and ARU, rather than the club, so a central union owns the players and not a billionaire at the club that would be reluctant to release star players on demand ( eg England and France). Would the talent scouts from Aussie now start poaching NZ secondary school kids for their sides. We may have more players than Aussie, but the $5 million dollar salary to Matt Gateau means that NZ kids maybe on sale to the Aussie teams. How would the debate go, a player like Dan Carter playing for the Western Force. Will NZRU retain the rule that only players playing for the NZ sides can be picked for the ABs, or will they widen that to NZ players playing in the Trans-Tasman cup. More here : Super rugby – It’s in safe hands (not) ! The New Zealand Rugby Union (NZRU) will not back any push for a replacement of the Super 14 rugby competition that excludes South Africa. The union’s general manager of professional rugby, Neil Sorenson, said today that such a restructure would be at odds with the union’s preferred position at the moment. My Comments: A NZRU CEO that ignores strong opinion from the power brokers of the stakeholders of the union, will eventually loose. The NZRU constitution is based on votes, so who is the dog and who is the tail may be surface very soon ! Apparently, South Africa is the largest piece of the revenue cake for SANZAR, so I understand that we need them more than they need us, that is why NZRU says that South Africa must be in any new competition. John Graham (Auckland Grammar Head, and ABs Manager) said it first ‘The professional era will be the death of New Zealand rugby”, so was he wrong, well not so far when you have the NZRU chasing money, money and more money ! Tew also played down suggestions some of the bigger unions were seriously contemplating forming a breakaway transtasman competition. My Comments: Is the NZRU getting all soft, and warming to the power unions of NZ rugby ! Comments Off on Super 14, Air NZ Cup gone, replaced with..